SYSTEM DC90 Company was found in 2000. 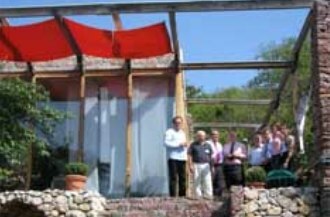 The founder is Zoran Petraskovich, certified civil engineer. The main activity of the enterprise is innovation activity in sphere of seismic engeneering. SYSTEM DC90 is famous for the rehabilitation, reconstruction and seismic protection of both buildings under construction and erected objects in Serbia all over the region. 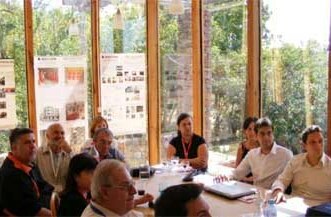 The rehabilitation and reconstruction of the construction objects subjected to the earthquakes as well as the seismic protection of the buildings of the improved reliability under construction in high seismic risk zones are performed by means of original construction system. SYSTEM DC90 technology is patented in USA, Australia and Serbia. SYSTEM DC90 technology found both domestic and foreign acceptance, it was awarded by Brussels Eureka. Innovation and research, testing, studies, analysis, design, education, technology and knowledge transfer as well as orientation and demo show are the activities of the company. The construction of the robotized factories for damper production and dynamic testing laboratory. The research laboratory for model dynamic testing and special members’ production facility are the integral parts of the SYSTEM DC90 centre. 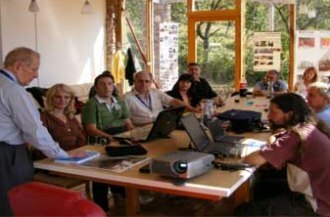 The organizations of high repute in the particular area of expertise, such as IZIIS (Skopje,Macedonia), VTI (Belgrade, Serbia), IMS Institute (Belgrade, Serbia), Faculty of Civil and Geodetic Engineering (Ljubljana, Slovenia) issued the quality sertificates and conducted the tests of the construction members. 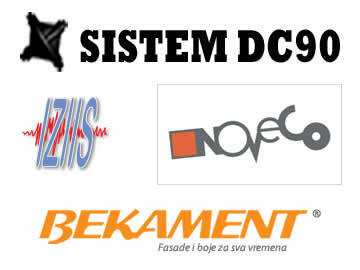 SYSTEM DC90 Company has established GROUP DC90 branch network in cooperation with eminent experts,specialists and engineers. The local SYSTEM DC90 representatives and agents as well as expert consultants from Serbia, Montenegro, Bosnia and Herzegovina, Slovenia, Canada, Finland and Macedonia are the members of the GROUP DC90.